My dissertation is due in 3 weeks and 6 days and it’s fair to say I don’t think I’ve ever been quite as stressed out with the uni work that keeps on piling up. 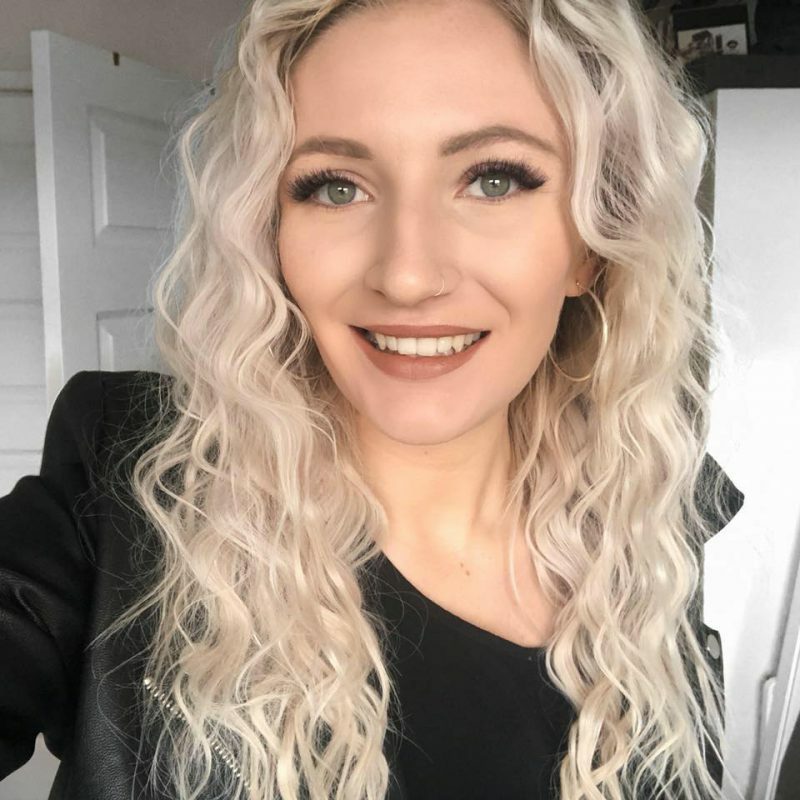 However, I saw an image on instagram that had the quote “everything you are worrying about now will be irrelevant in a years time” and although my final year grade is key to me getting a job in marketing, my dissertation would have been a thing of the past and so I’ve always ensured to not let the stress get to me as I may have let it a year back. For anyone in a similar position or just looking for a way to de-stress when everything builds up, I hope my post will uplift you to think about number one and not let you be so consumed. Boring, I know. But breaking down what you have to do in week-to-week, or day-to-day sections makes work seem a lot less daunting. Every week I aimed to draft a chapter of my dissertation. With that now complete, I am left with sufficient time to edit and condense the drafts I have made. If I leave everything to the last minute I’ll just implode, but this way it is much more manageable. 2. Read Your Favourite Magazine. 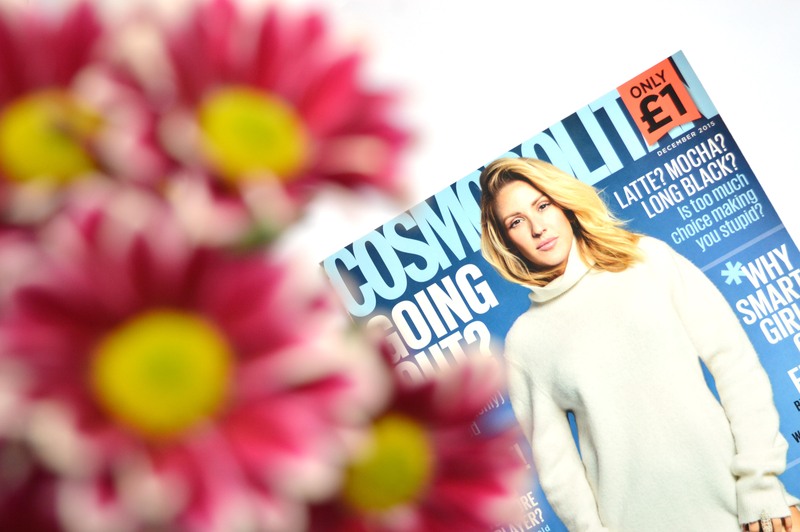 This month my two favourite things joined forces: Ellie Goulding and Cosmopolitan. I’ve been loving that for the past two months Cosmo has been £1, it makes buying it SO guilt-free, not to mention it’s still as amazing as ever. I love nothing more than indulging in celebrity gossip and reading makeup and fashion updates for some TLC time. 3. Listen To Your Favourite Music. Back at Ellie Goulding again, her new album is just AMAZING. But working on my dissertation in the silence is often quite a lonely feeling, so having my favourite music playing in the background often makes it feel like you’re not studying/researching and definitely relaxes you when you begin to feel stressful. With the occasional dance here and there and (apologies to my neighbours) a little sing-a-long, I’ve found this is a perfect way to prevent distraction. If you’re feeling stressed out I find the best thing to do is to let it all out. Talk to a friend doing the same thing to realise you’re not alone, my mum is brilliant at listening to me but so are the rest of my friends and family. Sometimes you need to rant away which is great as this prevents it building it up inside of you which often leads to feelings of not being able to handle it. Everyone has been in a stressful position, they will understand. 5. Have a Night Off. I don’t do this often, but some nights it is more productive to walk away from what you are doing for the night and relax than staring at a blank screen. Coming back to work with fresh eyes can often be more productive. Dedicating one night off a week will ensure you get more done on the nights you are working as you have it to look forward too. Probably one you don’t want to tell your bank balances, but I love rewarding myself with a little something for working hard. Whether this be a piece of cookie for every 200 words (this was me with a spoonful of nutella – sorry not sorry) or a new lipstick for finishing a draft. A little motivator never hurt anyone. I do go a little senile when I lock myself in my bedroom when writing my dissertation. I actually enjoy going to work to have normal conversations with other people about things that are totally irrelevant. Even discussing your study with colleges and friends can help spark a new perspective you had never considered. I don’t know what I’d do if I didn’t have my blog as a creative outlet. By cutting down my posts to two a week I don’t feel as though it puts a lot of pressure on me to be posting everyday as I just would not have the time. Find a happy medium that gives you enough time to put on other commitments but equally keep you producing content on a regular basis. These Adult colouring books may have been a bit of a phase a few month back, but I love the one Molli bought me. Sitting in front of the TV colouring in does magic to your mind I swear. Doing something that doesn’t involve a computer screen is actually quite therapeutic and is so naustalgic, reminding you of your stress free days. So when I get super stressed out, I love going to the gym for just an hour and running off all of the frustration I have built up. I’ve not been able to do a long session at the gym with the amount of work I have to do, but cutting down means I still get to go and feel better for it and my gym membership is not going to waste. So there we have my 10 ways to combat stress. Only you know the best way you work. It is important to have discipline and ensure you meet deadlines, but remember you can’t do it without looking after number one first. We often heighten stressful scenarios so take it easy and one step at a time. Have you got any big assignments coming up? Or something that keeps getting you stressed that you can add to my tips? Let me know in the comments!